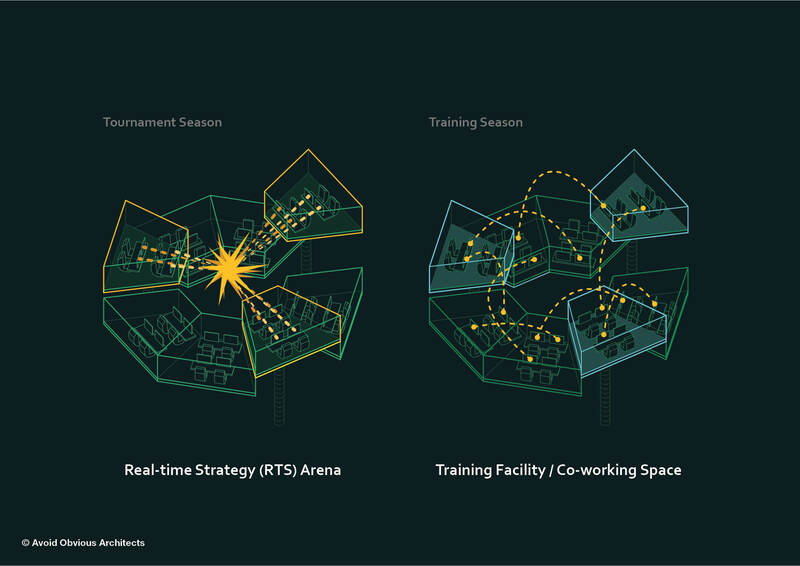 We spent 2 weeks to study the phenomenon of e-sport and tournament of video games. 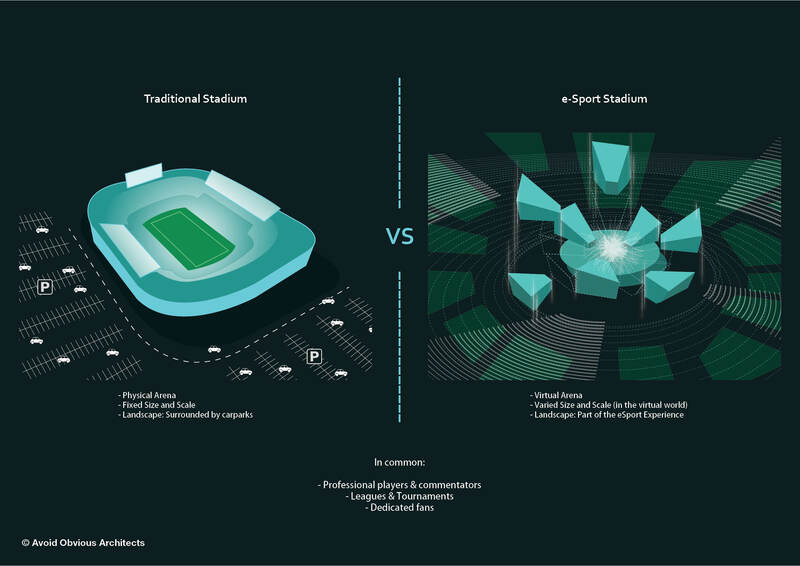 We came up with a set of rules to guide the exterior and interior design of an e-sport stadium. E-sport can last a lot longer than real sport. Some e-games can go on for days. 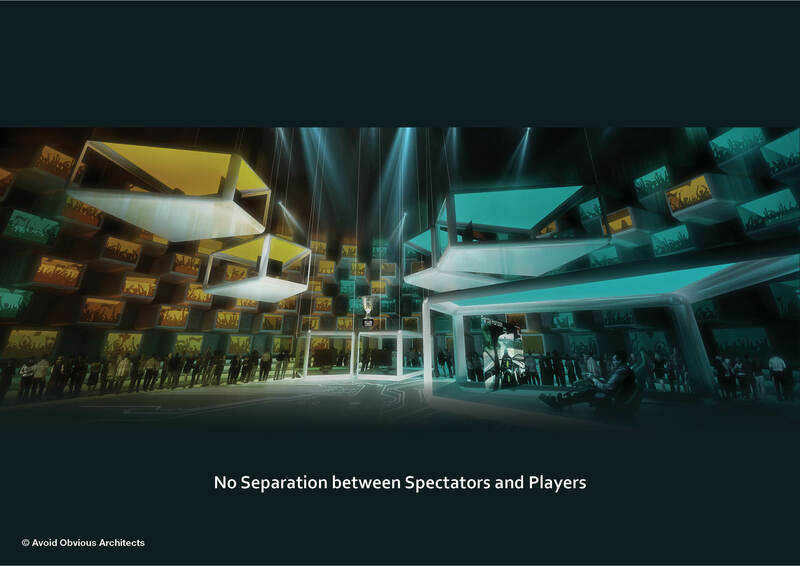 The landscape can become rest stations for the players and spectators. Landscape is no longer treated as a buffer zone like a park but rather an important feature to sustain a healthy e-game. 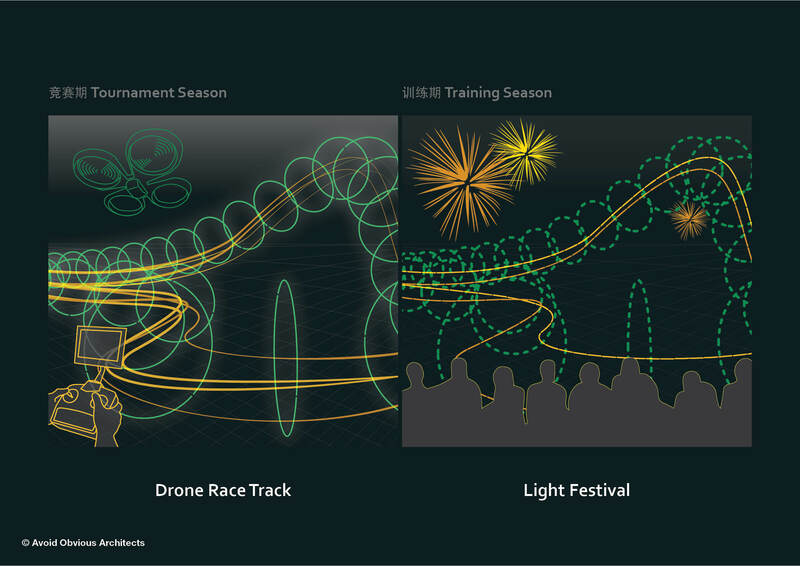 Drone racing is often considered part of the e-sport. 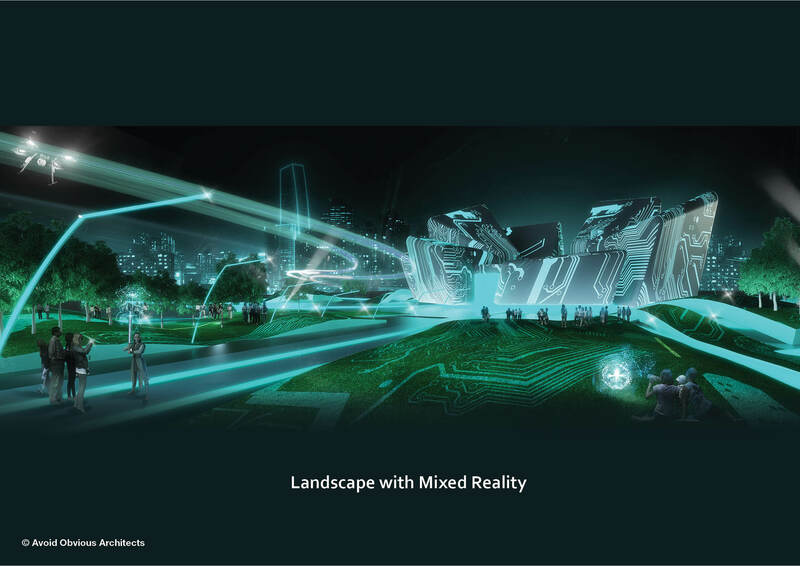 Landscape can have racing track for people of all ages and also remote-controlled device of all sizes. E-sport can be done with different number of players. Unlike a soccer game, flexibility is needed to accommodate a 1-on-1 game or a 100-on-100 game. 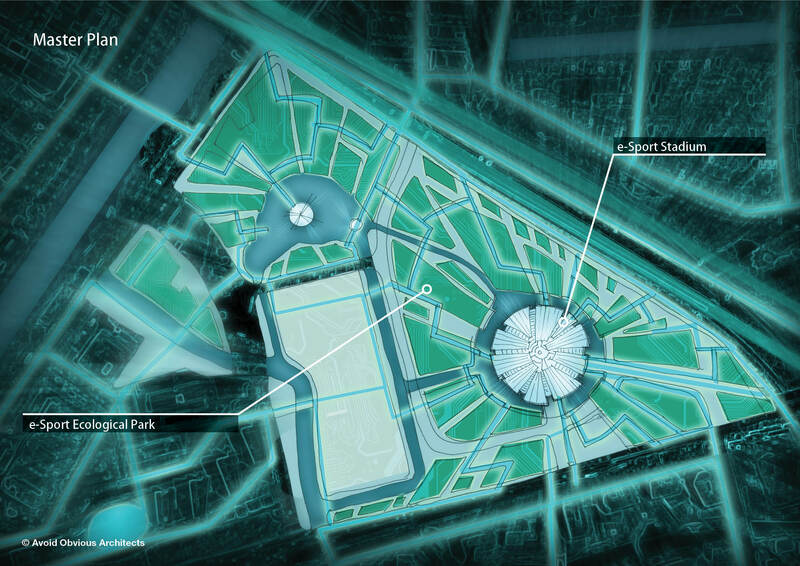 Architecture must allow immediate expansion for additional seating and game playing area. 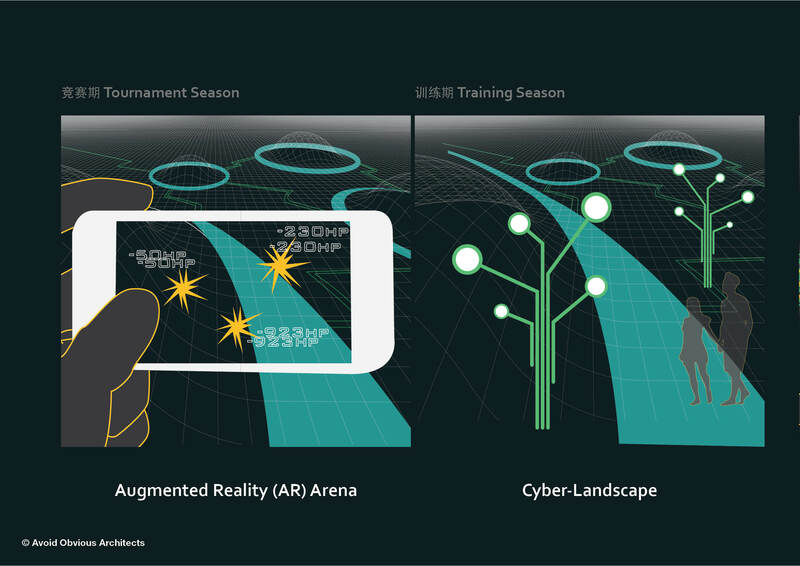 VR, AR and MR tools are important around the architecture and landscape to provide mixed reality that can bring people in and out of the virtual world. The E-Stadium is meant to be multi-purpose. During off seasons, space will be used for team practice and training. The event space also serves promotional events such as new game and product announcements. Players in video games are different than players in real sports. They may not enjoy the cheering from their fans. The ability to isolate players and teams are important. Players will form teams of various size. They can battle each other with whatever number of players the game required. The seating needs to have ability to rearrange and light up to identify teams and groups. Spectators will be allowed to join the games. 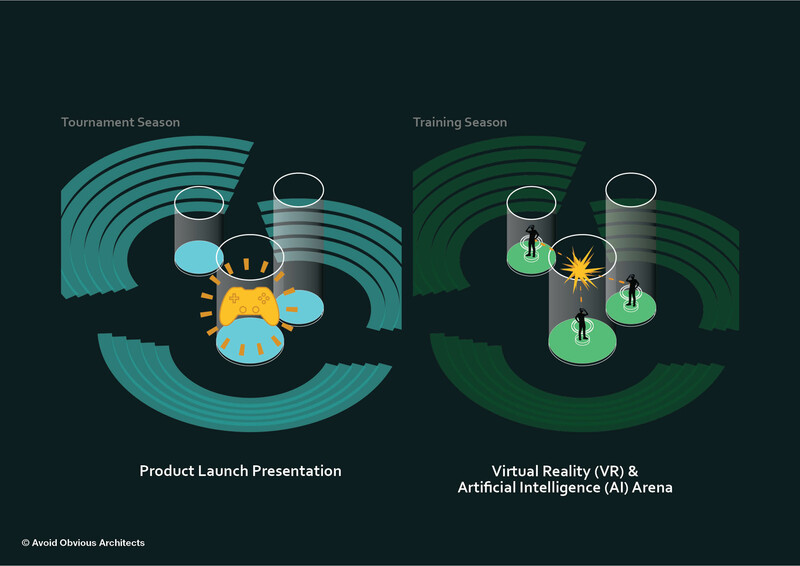 Unlike real sports, the spectators in e-sport can help to influence the result with their digital input. Stadium no longer separate spectators and performers. It is truly about their interactions. Gamers are obsessed with their status. Stage design with the concept of levitation can help to separate the winners from losers.